Content marketing is quickly becoming the #1 focus of businesses. Those with a content creation strategy receive 3x more leads versus pay-per-click campaigns. Long story short: More content equals more sales… at fewer costs. Unfortunately, nearly every business now knows this. One wonders how their content will do anything but make a small impact with tens of millions of posts published online each month. Want to know the secret of successful content creation? How consistency and distribution close the competitive content gap? A content creation strategy takes about an hour to complete. This will provide the groundwork for your efforts. Though keep in mind it’s an on-going thing. You’ll add or drop ideas based on how you feel or from the reaction of the community. Got an hour to spare? Great! Let’s get right into it. 48% of people are more likely to buy something if it’s personalized. The way to personalize the message? Identify the audience! This way you’ll cater the message to the types of individuals likely to react. A persona is the sum of your target audience. You’ll use buyer personas when crafting content to identify wants, needs, and desires. It keeps the content on track and laser-focused versus trying to reach everyone. The brand voice is how you present the message. Each audience reacts differently to brand voices. It’s important to match the style and flow your audience expects to get their attention. An easy way to develop the brand voice is by replicating how the audience speaks and writes. Mirror the wording and you’ll blend in. Seek and identify the social channels your audience frequents. But don’t rule out smaller social networks and platforms. Set alerts to find related content and discussions across the Web. Then, visit those platforms, become one with the community, and use the interactions for audience research. The keywords will mirror the direction you’ve discovered having identified the audience. You now know their lingo and where they frequent. This will attune your keyword selection to better reach them through those channels. The Google Keyword Planner tool is your go-to resource for creating data-driven content. Simply type keywords into the tool to find search volume and interest. You will find similar keyword suggestions when using SEMRush. Though, its better use is research competitor websites by including their URL. 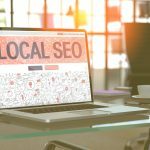 The results show their ranking keywords which you’ll use as part of your content strategy. A favorite tool to find variations of keywords and related searches. Ubersuggest will report hundreds of content ideas based on your keyword query. You could create articles about each or condense them into sections of a bigger piece. The strategies up to this point are theory and speculation. You can skip most of this by going directly to competitor efforts. Then, leveraging their research. Buzz Sumo reports popular content based on keywords and sites. You’ll discover content and how many times it was shared across social channels. 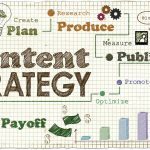 Use the top content as a basis for your content creation strategy. You can do one better by including extra topics brought in the comment section. Take note of the displayed ads from a Google search. Look at their choice of keyword and copy. Then, repeat them as a content piece or within one. Consistency matters and the best way to stay on track is with a content calendar. Try a combination to build an understanding of what works for your community. Those opting to take longer breaks between publishing should aim for bigger pieces. This will warrant the wait. Though, efforts should continue across social media channels daily. The daily interactions will keep up with interest and rapport. It’s gutting publishing a post and it receives little traffic. This happens with small operations because they’ve yet to establish brand authority. The top social media influencers command a massive, engaged following. Their suggestions and content guide the industry. They’re authorities in their markets. To have them share your content is a big win for building your brand and traffic. Develop this professional relationship by keeping in touch. Doing so will elevate your brand authority as you become a regular with their shares. Video accounts for 74% of all online traffic. You likely have dozens (if not hundreds) of old posts ready to swap media formats. Find out more about how to pass video creation to professional videographers. 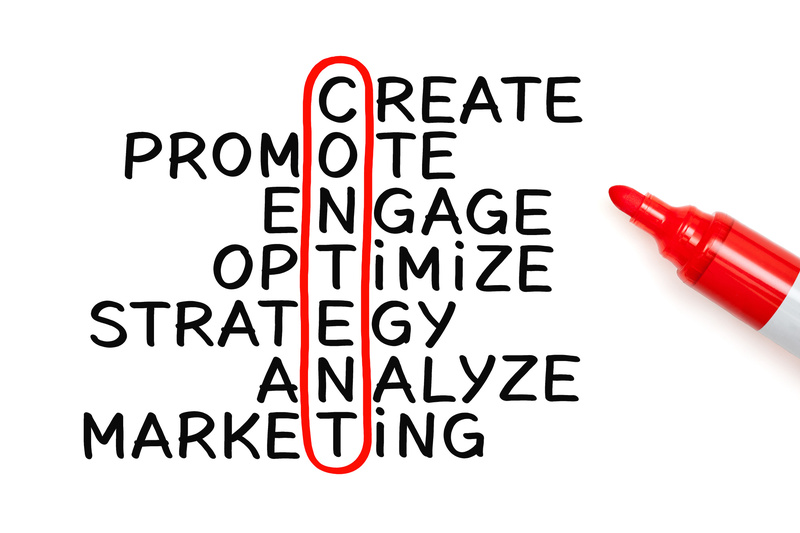 Do so and your content marketing efforts will double its ROI. It’s hard seeing the big picture with the content creation strategy during its infancy. Business owners look at the time and dollars spent on content creation. They weigh it against other promotional methods like advertising which delivers instant results. Content is your best bet for long-term marketing. Remain steadfast and report the return on investment. 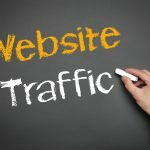 You will see — without a doubt — an increase in lead generation with content creation and marketing. Each piece creates a compound effort in organic search engine traffic and rankings. 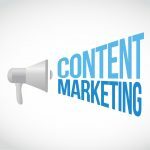 Do you expect to add content marketing to your efforts this year? Now, more than ever is the perfect time to start!